For a while now, I have been friends with a very kind and caring lady. This lady goes by the name of Sarah and she blogs over at Life In A Break Down. A few months ago I watched my friends dream come true when she decided to open her own blog shop selling beautiful necklaces and a brooch. 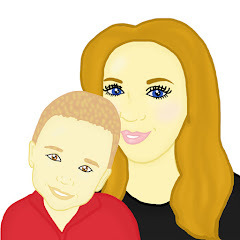 The designs that Sarah had created for her, fitted around her love of blogging and her amazing dog, Sally. I followed the opening of Sarah's shop from start to finish and I was very excited to recently have received my own Sally dog brooch. The Sally dog brooch which I received was packaged well in a lovely, black gift box. 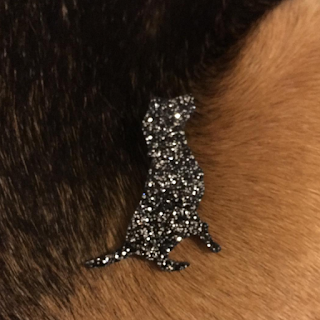 Upon opening the gift box I was dazzled by a beautiful, black, glittery brooch in the shape of Sally, Sarah's dog. Although the brooch was not as big as Sally, the brooch stood at 4.5cm tall and the brooch looked very eye catching. The brooch is made well and is made by Funky Lasers. The quality of the brooch is very good and with the brooch priced at just £9, I feel this would make a very inexpensive gift for a loved one or a fantastic treat for any dog lover. The finish is smooth and the brooch has a very clean cut. I feel that a Sally dog brooch would be perfect to add to any office outfit however it would also make a beautiful addition to any school bag, hat or memory blanket. Since receiving the brooch, I have worn it on my clothing and Maxwell has adored talking and commenting on Sally. Maxwell simply adores dogs so Sally was very welcome into our home. Maxwell has recently claimed the brooch and has wanted to use it for play purposes although currently it sits in his room on one of his bears. If a brooch is not for you, Sarah's shop hosts a range of other goodies that have quirky and unique sayings. My favourite items include a necklace that says #UKBloggers named after a fantastic Facebook group and website that Sarah set up. 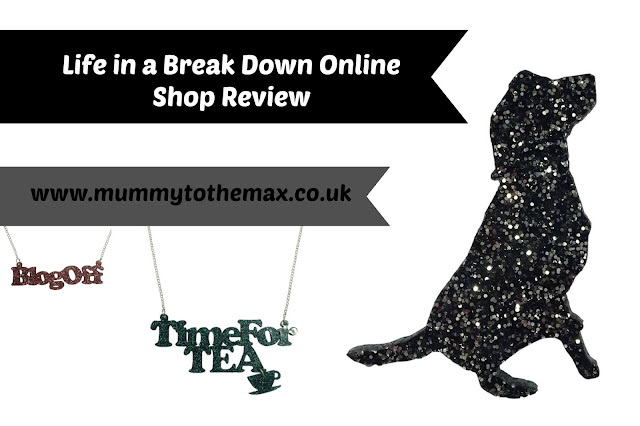 There are also other choices including Blogoff, Bloglife and TimeForTea necklaces which are also eye catching and are very fun. If you are a blogger the necklaces that Sarah has to offer would make the perfect accessory to jazz up any outfit, especially if you are hitting any blogger events this summer. With the necklaces being plain in colour, each of the necklaces Sarah has to offer will suit any outfit. If you are interested in purchasing any item's mentioned in this blog post, you are able to check out Sarah's shop here.